The Deckchair Cinema is trying something new – an on demand screening of China Love – a hit film at the 2018 Darwin International Film Festival. General manager Alice Body says quite often the organisation gets requests for ‘on demand’ screenings, a process where if they sell more than 50 tickets a week out, the film goes ahead, and if they don’t, it’s not screened. But because of the advance season programming, there hasn’t been a chance to try it out – until now. Moviegoers can pre-purchase tickets to see China Love, which will screen the day after the ‘official’ closing night film, if more than 50 tickets are sold by November 12. “We chose this film to trial (this process) because it was really well received at the Darwin International Film Festival, and personally it was my favourite film in the festival,” Body says. 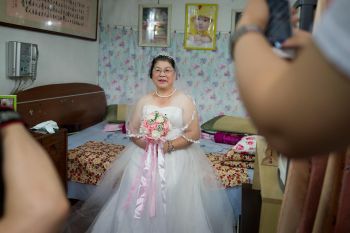 The film about the billion-dollar pre-wedding photography industry in contemporary China also has a powerful connection to Darwin. “One of the groomsmen is a Darwin local,” Body says. One thing Darwin residents are renowned for is being last-minute ticket buyers, but Body is confident the movers and shakers will pre-book their tickets. “People aren’t usually known for booking in advance, but that is changing a bit and people are getting more and more used to it,” she says.